Contemporary Art Museum in Raleigh presents "Marilyn Minter-I'm Not Much, But I'm All I Think About"
Video still of Marilyn Minter's "I'm Not Much, But I'm All I Think About", 2011. Image courtesy of the artist, CAM Raleigh and Salon 94, New York, NY. RALEIGH, NC.- Im Not Much, But Im All I Think About, a video by Marilyn Minter, is on view in the media lab August 17, 2012 - February 11, 2013. Im Not Much, But Im All I Think About is in conjunction with GirlTalk, a major exhibition of women and text, featured in the main gallery, opening September 22, 2012 and on view until January 14, 2013. Marilyn Minters work is courtesy of the artist and Salon 94, New York, NY. 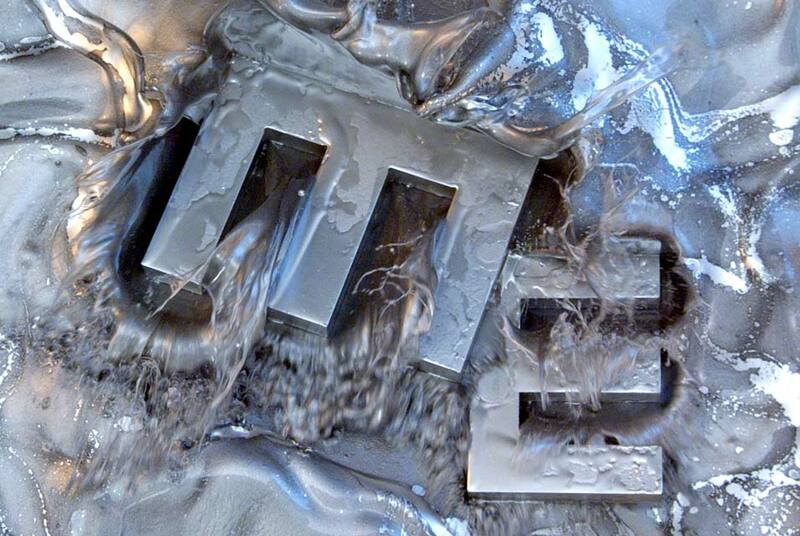 Shot with a slow motion camera, Im Not Much, But Im All I Think About features the letters M and E as well as M&Ms candy slowly falling through space and splashing into a viscous pool of metallic pigment. The Es are simply the Ms, turned sidewaysa reference to the artists initials. Minter describes the work as a playful commentary of the self-involved artist. The video is indicative of Minters oeuvre, seducing the viewer with luscious, high-gloss imagery. Executive Producer, Salon 94. Savvy viewers may recognize the letters from the Whitney Museum of American Art logo, who commissioned a similar video for their 2011 museum gala. Born in 1948 in Shreveport, Louisiana, Marilyn Minter lives and works in New York City. Marilyn Minter has exhibited extensively in museums and galleries internationally. These include the Museum of Modern Art, New York, NY; Fotomuseum, Winterthur, Switzerland; CAC, Cincinnati, OH; The Museum of Contemporary Art, Cleveland, OH; La Conservera, Murcia, Spain; San Francisco Museum of Modern Art, San Francisco, CA; Museum of Contemporary Art, San Diego, CA; The Kitchen, New York, NY; SITE Santa Fe, NM; The 2006 Whitney Biennial, New York, NY. A large solo exhibition of her work opened at the Deichtorhallen, Hamburg, on April 29 2011.